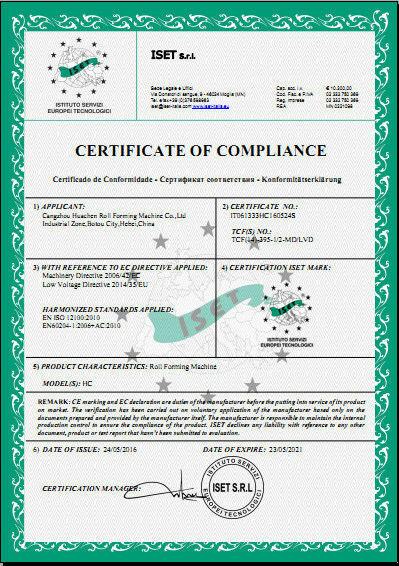 The color steel plate produced by the color steel tile press is widely used in the construction of household appliances and transportation industries. 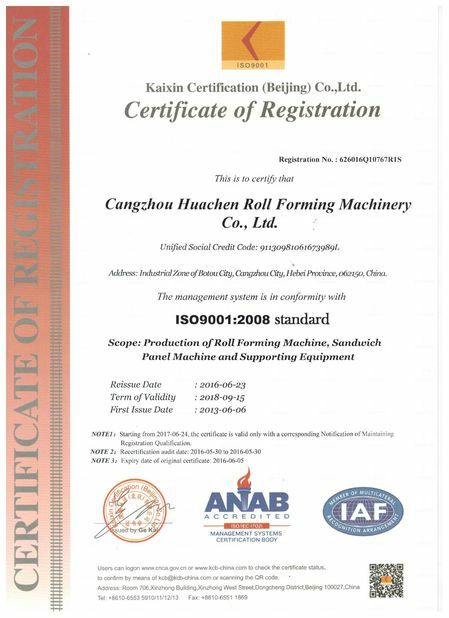 For the construction industry, it is mainly used for the roof wall and door of industrial and commercial buildings such as steel structure workshops, airports, warehouses, and frozen buildings. The advantages of color steel plate are good corrosion resistance, bright colors, beautiful appearance, convenient processing and shaping, and low cost. 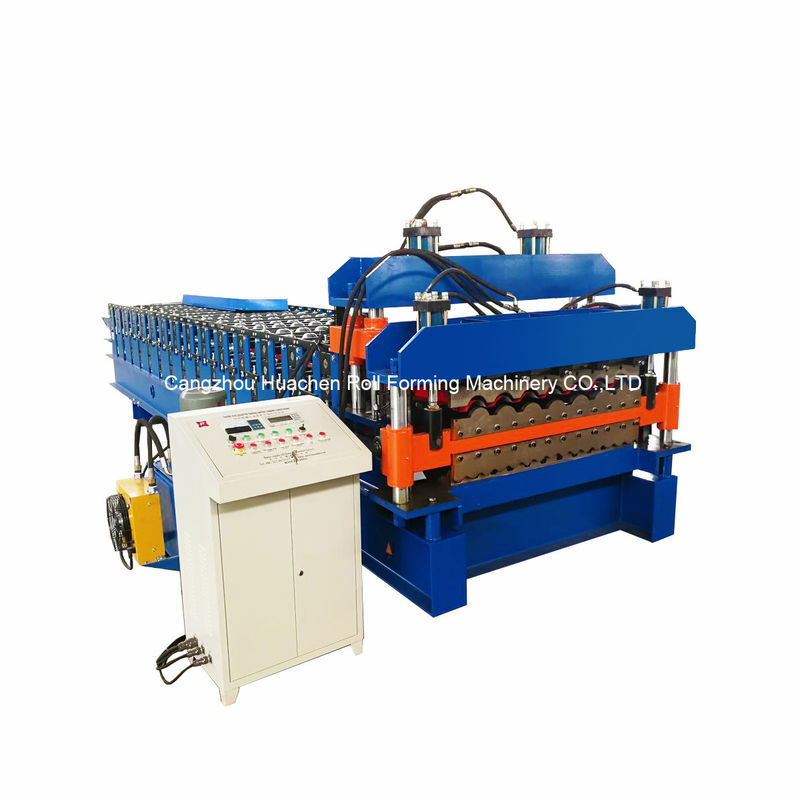 Features 1: directional four-column high-speed high-quality mould-embossed colored tile equipment: adopting a number of advanced technologies, the main machine "body" is welded without welding, all of which are made of "cast steel", so the whole machine will not cause "main machine" deformation due to "stress" generated by "welding".Host "pressure cylinder and the main mold" by "guide sleeve" binding in 120 mm "four hydraulic prop root solid guide", "main tile model" vertical run up and down, won't produce vertical deviation, especially for the vulnerability of the model, the absolute protection, at the same time also greatly extend the service life of the "main tile model". With the popularity of color steel watts tile press application, now many large industrial workshop, warehouse, steel roof truss structure and large equipment, use the color steel watts, or call color steel, even the colored glaze type color steel-equipment, makes the appearance of the building, to my life more colorful, beautiful, neat. Are these the color tile by press equipment by pressure molding. 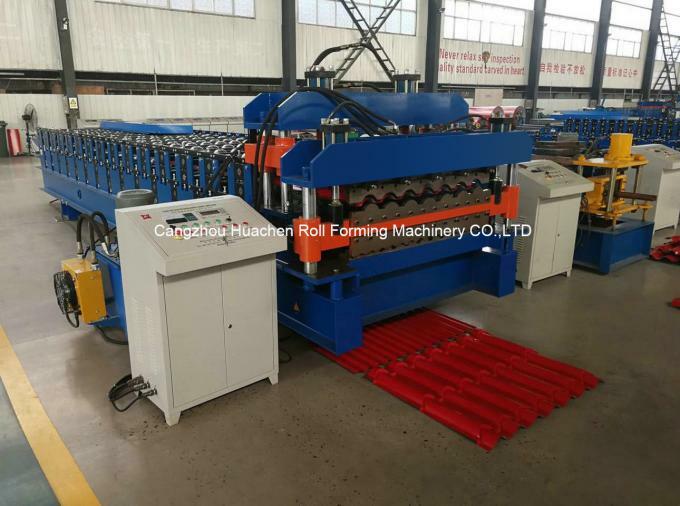 Choi steel into the tile press equipment, through a variety of roller, pressed into all kinds of plank, repass shear, processed into the right plank can use. Tile press equipment is divided into three parts: roll the concluding part, molding part, shear part. 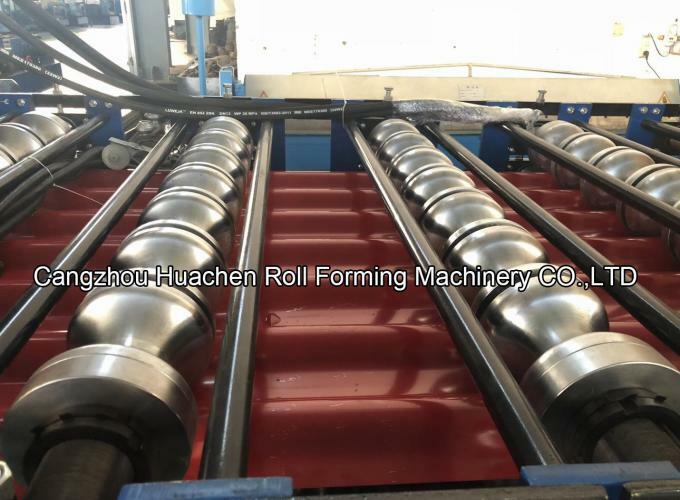 Roll axis is provided by the motor power, the chain drive roller rotation, each other different loading, molding department is moved up and down model of hydraulic cylinder to drive, can make the color steel plate pressure of a section of the rules of the shape, shape of tile, again under the action of shear knife, cut into appropriate size as required. The process to be done through PLC electrical cabinet for the pressed, drag and cut control of the whole process. Realize high speed and precision.